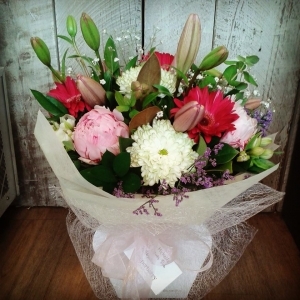 Established in 2011, we have a small team of international florists with passion for flowers! We fuse the new and innovative with the romance and abundance of the days gone by. Everything! 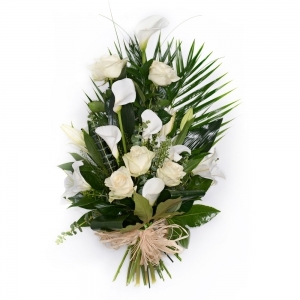 We treat every arrangement and bouquet big or small with the same care and attention to detail. Very good, very efficient service. 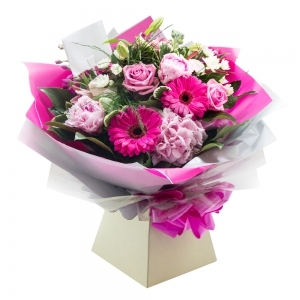 Gorgeous flowers delivered on the day specified. I made a special request for a particular flower and was thrilled to see that the florist kindly included this in the bouquet for me. Absolutely delighted.... Thank you Pepperberry! Thank you. 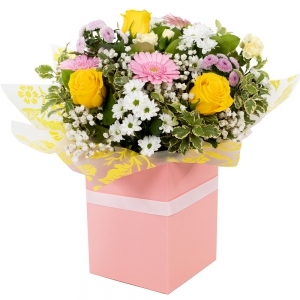 The flowers were delivered on time and made the person happy. Greetings from Estonia. Our daughter was thrilled with her birthday flowers. Thank you so much. Fantastic, thankyou. 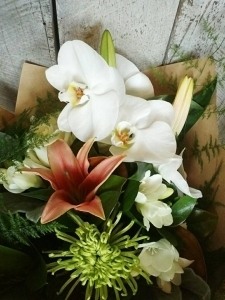 Flowers were gratefully received after being delivered faster than the speed of light..... 'me thinks' Using PayPal is awesome, makes life simple. 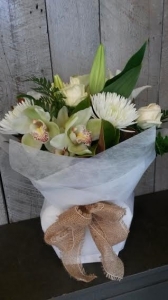 Too soon to hear from the recipient but thank you for letting me know the flowers were delivered. I'm sure they were lovely. Flowers delivered when expected. Helpful knowing how much time I had to order for same day delivery. ordered before going to work. 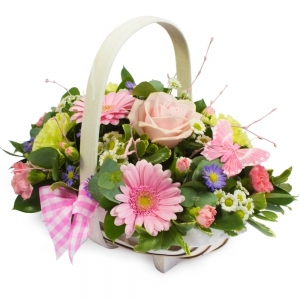 On return from work I see an email from the recipient's family of my relative and the flowers. A most suitable 96th birthday gift. Thank you for your great service .Fleurtations Bristol. 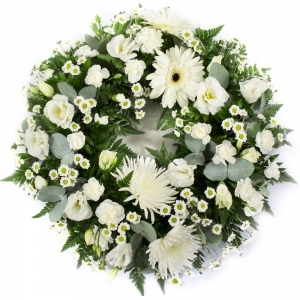 Disappointed that the florist never sent us a photo of the flowers, the add said they do. Even though the flowers were nice, I think they are a bit overpriced. 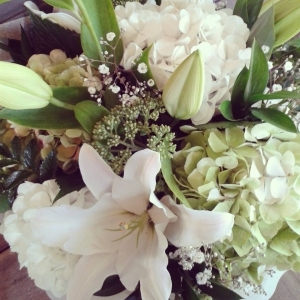 Fabulous service and beautiful flowers - thank you for making the whole process so easy! My order was delivered accurately. The person who received it was delighted! Beautiful flowers arrived as described on site on day required. 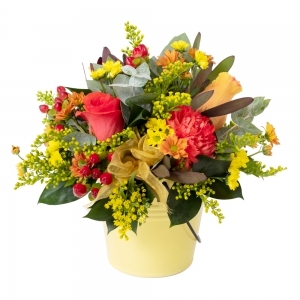 Easy to use and the areas florists cover was very helpful. Photos of bouquets etc were excellent guide too. Very impressed - I only placed the order the day before not really expecting next day delivery, as it was a last minute thought. Was pleasantly surprised when my sister (flower recipient) sent a text saying she had received the 'beautiful flowers'. It was on her wedding day as well. My friend described her vase of flowers as 'just lovely'. The flowers sent to my sister were very well received....she was thrilled with them. Thank you. 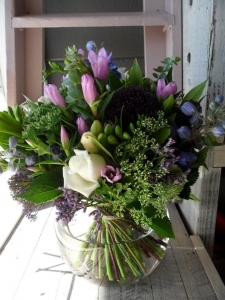 My Sister thrilled with the Cottage Garden arrangement - lovely fragrant flowers :) and no issues with delivery. Thank you, Pepperberry ! Nicola B.
Amazing! Flowers were delivered on time and were just perfect. Thanks Pepperberry. Great service, and on time. Thank you! Recipitent loved the flowers. 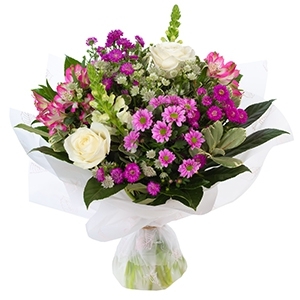 Great choice, fresh, variety and beautifully presented. Thankyou. 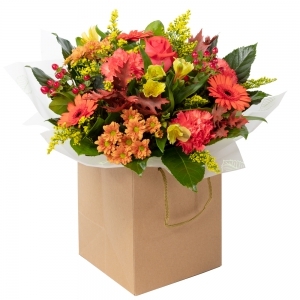 I would use Pepperberry again - the beautiful flowers were delivered on the requested day - recipients delighted! 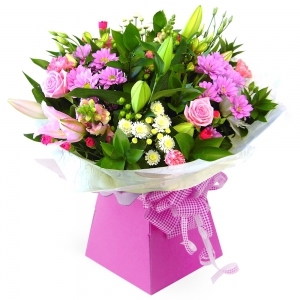 Gorgeous flowers and quick delivery! These guys made getting a birthday gift to a dear friend effortless and affordable. She loved her gift. Thanks heaps! 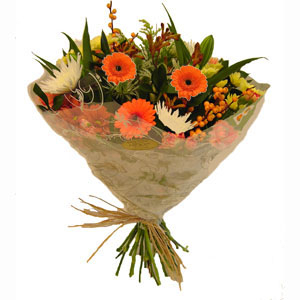 Fantastic flowers - recipient very pleased. Lovely selection. Thank you! Arrived on time and recipient was there! The deliverer read the card as requested as my Mum is almost blind - that was much appreciated. Mum loved the range of flowers and the quality and the smell! 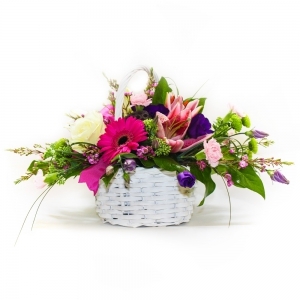 Beautiful arrangement in a watering can ordered for my Mother for Mother's Day. Great service. Ordered Friday, delivered next day. Will order from them again. 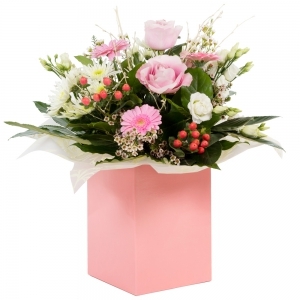 The flowers that were delivered looked great and arrived on time. 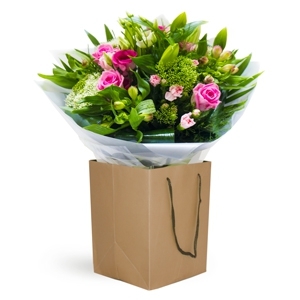 The flowers were delivered on time to the correct destination. 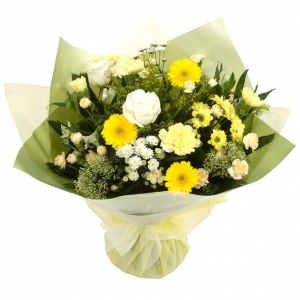 The florist said they would check the information we supplied was correct. From the photographs there seemed to be a good selection of flowers to suit the occasion. Altogether a good reassuring service. Have used them several times and had nothing but great service! 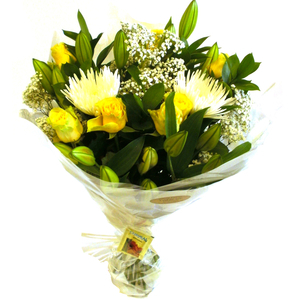 Beautiful flowers that had the exact desired effect of brightening a special someones day. Excellent service with a high level of contact at all steps. 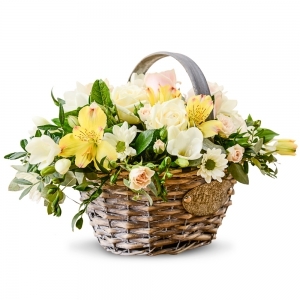 The recipient of the flowers was highly complimentary of the arrangement. Thank you. Beautiful flowers, absolutely loved by my Mum..thanks. Professional, prompt, efficient, reliable. 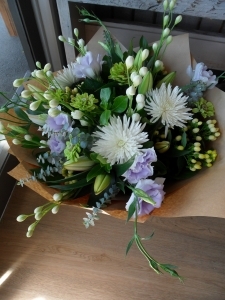 They even sent me a photo of the arrangement they sent out! They were great! Letty from Pepperberry went the extra mile for us when we gave her the wrong address for delivery. She went out of her way to pick the flowers up, took care of them overnight, re-did them and re-delivered the next day. We will definitely be recommending Pepperberry to friends - thank you Letty! Lovely work and lovely to deal with. Very easy service and flowers were very nice! 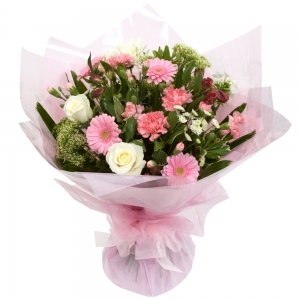 Flowers were delivered on time and recipient was delighted with them. Fast delivery and I like that you get to see exactly what is sent. My sister was very happy with the flowers and so am I. 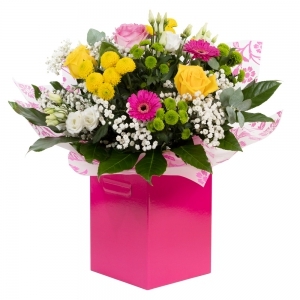 The flowers were beautiful but I did note on the order form that I wanted bright colours. 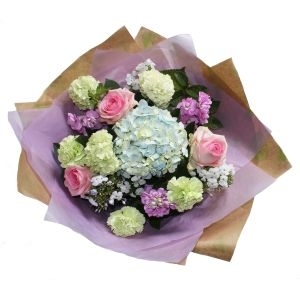 I got pastel colours but the florist did email saying she realized her mistake and did I want it re sent. I thought that was very kind. There was no need as the bunch was so beautiful. 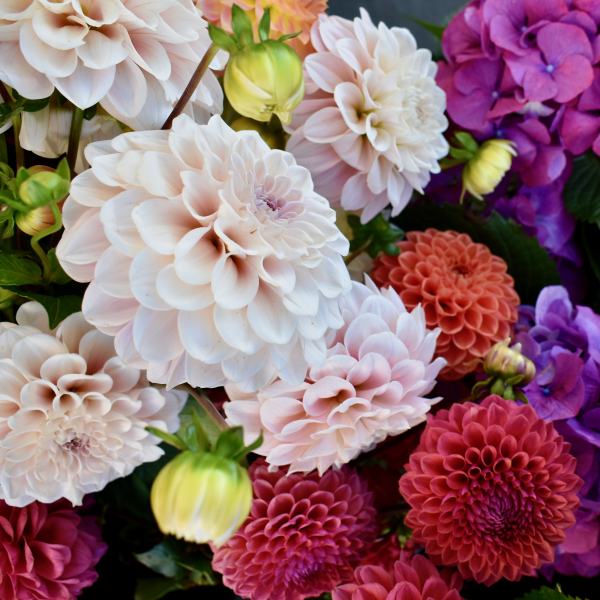 Beautiful flowers, great value for money. Will use Pepperberry again. Really happy with flowers, & so impressed with both pictures and delivery. Thank you. I didnt get to see the flowers but my friend made a point of phoning to say how beautiful they were. 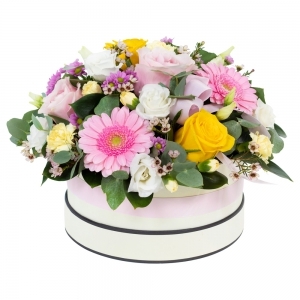 Delivered on time definitely use Pepperberry Florist again. Although I didn't get to see what was delivered, the recipient was suitably chuffed, apparently it was just what she liked. 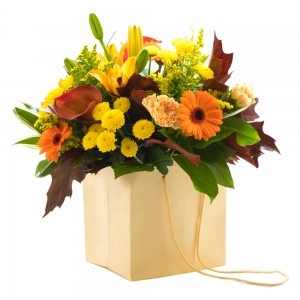 It's a very easy way to send flowers and I was surprised at how inexpensive it was. 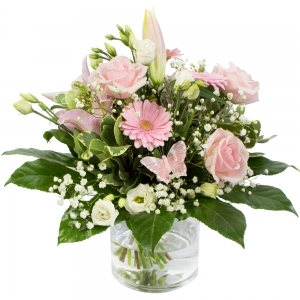 the flowers were delivered on time but they were very different from what we saw on the picture. 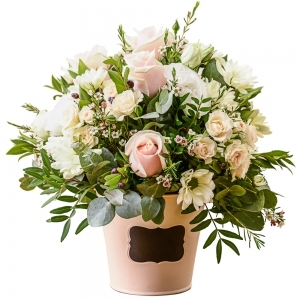 Overall we are satisfied with this florist. I sent the flowers to my dad and he loved them. I chatted with him on skype and got to see them. They were beautifully presented, and a generous size for the cost. 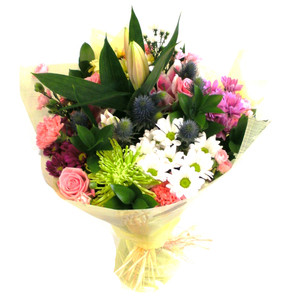 I was very happy with Pepperberry and Direct2florist. I would use this service again. My dad also said the person that delivered the flowers was lovely. 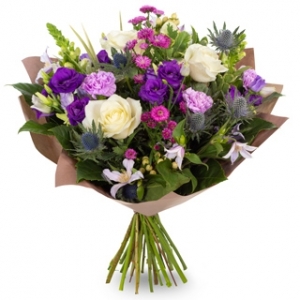 Thank you for a super service and a truely wonderful bouquet. It really made my sisters day. 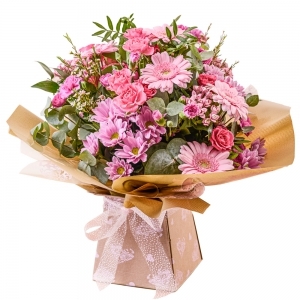 I can only rate you on delivery since the flowers were to my Mum who is in a home and has alzheimers, so I don't know what the flowers were like. However, I'm delighted they were delivered in the first part of the morning. My Aunty was very happy with the flowers. 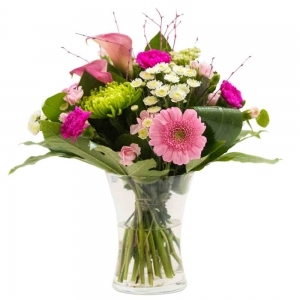 Ordering was quick and easy over the internet and the flowers were delivered when they said they would be. Thank You. 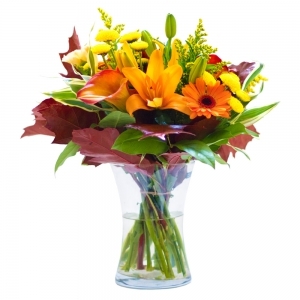 A sumptuous seasonal bouquet self contained in a high quality glass vase. 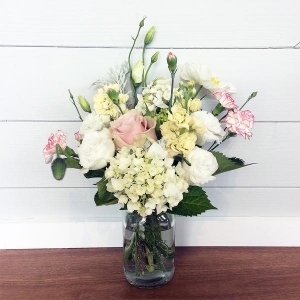 A cute mason jar filled with the freshest, most gorgeous flowers available on the day. 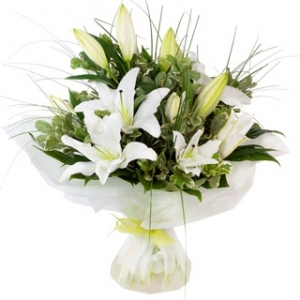 Classic and stylish white and green bouquet of seasonal flowers beautifully gift wrapped. 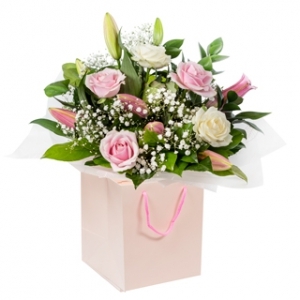 Feminine and pretty bouquet in its own water filled bloom box. Simply place it on a table and admire! 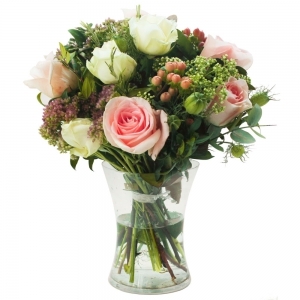 Beautiful seasonal flowers in soft pastel shades. 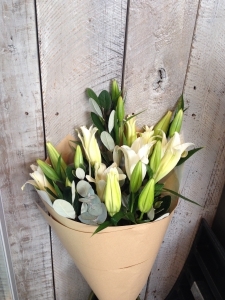 Fragrant white lillys and foliage. 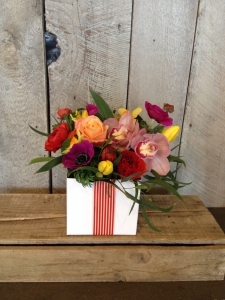 A bright posy in a water filled box. 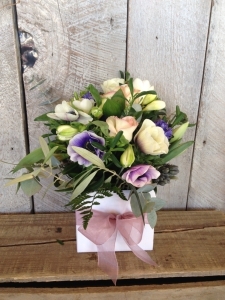 A pretty pastel colored posy in a water filled box. 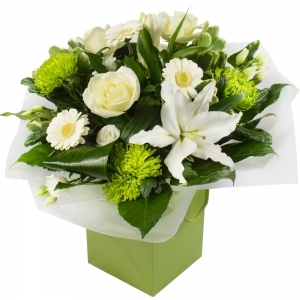 A stylish white, cream and green bouquet in a water filled bloom box. Always a favorite! 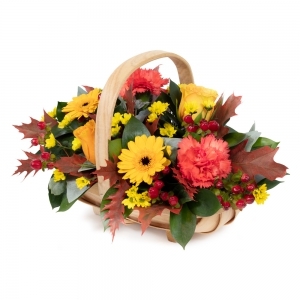 A rustic style bouquet made with warm colored seasonal flowers. 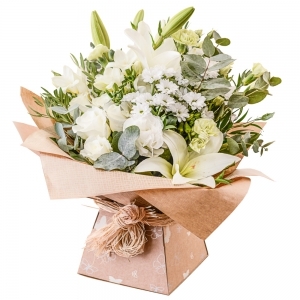 A lovely mix of rustic style blooms, presented in brown paper.